In a 1968 photograph, now in Newsweek. Pencils should be of very soft lead, so that a minimum of pressure is needed to convey the marks to the paper, but the lead should be dense enough to be able to carry a sharp point, since clarity is essential. My favorite pencil is the Blackwing #602, by Eberhard Faber, but there may be many brands equal or superior to the Blackwing. Another important feature of a pencil is its eraser. It should be firm, though not dry, and since soft lead is quite easily blurred, it should be an eraser that makes a clean sweep. Some arrangers prefer a mechanical pencil with a refillable reservoir for lead, but I find that the lead in these pencils is quite often brittle, and the eraser wears out after a couple of packets of lead have been expended. Nelson Riddle, Arranged by Nelson Riddle (Van Nuys, CA: Alfred Music Publishing, 1985). Quoted in Richard Henderson’s Song Cycle (New York: Continuum, 2010), a volume in the “33 1/3” series devoted to Van Dyke Parks’s 1968 album Song Cycle. Here’s a brief review. I’m honored to find myself so mentioned in Richard Henderson’s Song Cycle (New York: Continuum, 2010), a brand-new volume in the “33 1/3” series devoted to Van Dyke Parks’s 1968 album Song Cycle. The reference is to an essay that I wrote in 2004 about a line from Brian Wilson and Van Dyke Parks’s “Cabinessence,” a song from SMiLE, the album abandoned by the Beach Boys in 1967 and finished as a Brian Wilson album in 2004. The line in question: “Over and over the crow cries uncover the cornfield.” Beach Boy Mike Love is said to have demanded from lyricist Parks an explanation of this line’s meaning, which demand Parks was unable to honor. Thus the line has come to represent the alleged obscurity of Parks’s lyrics. “Acid alliteration,” Mike Love called it. Richard Henderson has written a terrific book. He begins by recounting his first acquaintance with Song Cycle as a thirteen year-old in 1968 Detroit. He goes on to track Van Dyke Parks’s youthful work in music, film, theater, and television; his entry into studio work and the folk-music scene in California; the rise of Warner Bros. Records; the varieties of “psychedelic” music; the critical success and commercial disappointment of Song Cycle; and Parks’s subsequent endeavors, among them, a stint at Warners’ Audio-Visual Services, where Parks devised the idea of making short promotional films of the label’s performers: “music television,” he called it. The heart of the book, a song-by-song meditation on Song Cycle, offers no code-cracking: the album remains a beautiful, ineffable work of art (thank goodness). Henderson is especially helpful in identifying Song Cycle’s specific inspirations: among them, the rural American poet Will Carleton and Misha Goodatieff, a Russian violinist who played at a Los Angeles restaurant. Goodatieff’s cousins brought the balalaikas that are heard on the album. If you’d like to read what I wrote about “Over and over the crow cries uncover the cornfield,” here it is: “That (in)famous line.” I stand by every word. In Firefox, install the Greasemonkey extension. Then install the Google Images direct links script. Adding these two items to Firefox will take a minute or two at the most. Now when you do an image search, the crowded, endlessly loading page will switch almost instantly to the old Google Image Search. If you’d rather skip Greasemonkey, here’s what to do: do an image search, scroll down and click on “Switch to basic version,” and bookmark the resulting page. 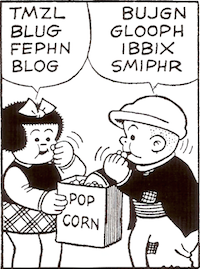 An image search for a hyphen gives a nice blank page to start with: like so. Adding a keyword to your bookmarked page — e.g., images — makes it easier to call up Image Search. You can use the bookmark trick in any browser. There’s also an extension for Safari 5, with which I have no first-hand experience. One annoying thing about the new Google Image Search is that switching to the old (“basic”) version requires scrolling down and clicking a box at the bottom of a page that’s endlessly loading images. A poor, poor choice of design: it’s like having to turn the volume up to eleven before pressing mute. Still worse is that the scroll and click are required (at least for now) with each new search: there’s no defaulting to the old image search. So it’s extensions and tricky bookmarks to the rescue. Our main thesis here is that formality is not necessary for beauty. It shows not less, but more, respect for the good things of life to plan an easier, smoother-running meal in a setting that suits its purpose — and to have more time in which to enjoy the meal and its setting. We look forward to the day when living room, dining room, and kitchen will break through the walls that arbitrarily divide them, and become simply friendly areas of one large, gracious, and beautiful room. We think that day is not too far away. Guide to Easier Living (New York: Simon and Schuster, 1950). The above two-page spread of the “all-in-one room” follows these two paragraphs. Servantless living at its best! The parenthetical numbers (35, 36, 37) point the reader to an appendix listing manufacturers and distributors. 35: General Electric. 36: Chambers Range Company. 37: St. Charles Manufacturing Company. As I have just learned, old Chambers ranges are highly prized. 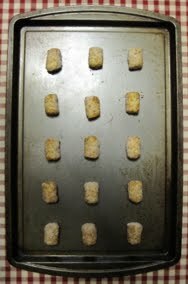 (Rachael Ray uses one.) And St. Charles Cabinetry is alive and well. I woke up this morning from a dream of teaching the first three episodes of James Joyce’s Ulysses to a room of utterly unprepared English majors. Things were pretty bad. At one point I had to run from the room to bring back a student who herself had fled when a peer mocked her poor grammar. Yes, pretty bad: so bad that I never got to mention the name of Stephen Dedalus. But that was okay: I too was unprepared. I want to say that I wouldn’t dream of attempting to teach three episodes of Ulysses in one class meeting, but of course I just did. Their banter was not new to him and now it flattered his mild proud sovereignty. Now, as never before, his strange name seemed to him a prophecy. So timeless seemed the grey warm air, so fluid and impersonal his own mood, that all ages were as one to him. A moment before the ghost of the ancient kingdom of the Danes had looked forth through the vesture of the hazewrapped city. Now, at the name of the fabulous artificer, he seemed to hear the noise of dim waves and to see a winged form flying above the waves and slowly climbing the air. We look forward to the day when living room, dining room, and kitchen will break through the walls that arbitrarily divide them, and become simply friendly areas of one large, gracious, and beautiful room. Well, that’s our downstairs, gracious as ever. The twenty-first-century name for this layout appears to be “open concept kitchen/dining/living area.” But our kitchen/dining/living area is an open secret, as our house is built into a hill and looks like a one-story house from the street. From a back-pocket beacon (no flash in the pan!) to a cog: here is why metaphor-making should be left to trained professionals. Thanks to Stefan Hagemann for alerting me to these metaphors. A beautiful photograph from the Library of Congress. This window seems to anticipate the layout of Arts & Letters Daily. The Enterprise, founded c. 1881, is still publishing. 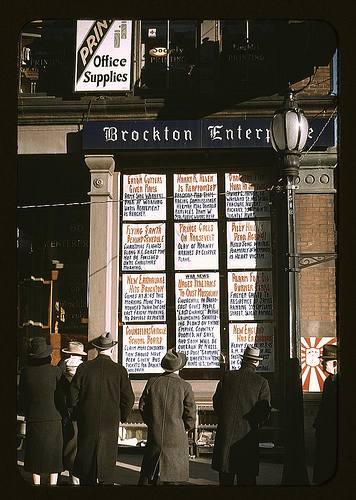 Don’t miss the photograph in its original size, with Santa’s schedule and a matter-of-fact announcement of another Brockton earthquake. I like the stenciling on the street lamp and “Society PRINTING” in the upstairs printshop. A magical and revolutionary product at an unbelievable price. Starting at $4.99. A large, high-resolution display. An incredibly responsive surface. All in a design that’s thin and light enough to take anywhere. iPan isn’t just the best device of its kind. It’s a whole new kind of device. Wilson also liked the version that includes a guest rap by Snoop Dogg that makes a nod to the original. A generous if slightly odd response. (Your song has sold millions: good luck with it.) Never to be outdone by “cousin Brian,” “California Girls” co-composer Mike Love has also now commented, but you’ll have to read the article (via the link above) for his response. 3. The cowboy-movie bass line. 4. Mike Love’s “hip” and “dig.” Very hip. Dig? 6. The chord changes in the chorus: B Cmin7 A Bm7 G Am7 B. 7. The vocal harmonies in the chorus. 8. The high background harmonies in the second verse. 10. The instrumental break before the final chorus (mimicking the bass line), and the “oh-bee-doo” as the break ends. She’s not been looking at Mario this whole time, though Mario’s been looking at her. Snopes has the scoop on Coke and coke. As for Delaware Punch, it’s a (not the) real thing, now owned by Coca-Cola, and still sold in Arkansas, Louisiana, Mississippi, and Texas. Infinite Jest is in truth infinitely sad. Tracking time, place, age, appearance, activites, and mood: “R. Crumb’s Depression Graph.” It reminds me of Charles Joseph Minard’s map of Napoleon’s 1812 Russian campaign. 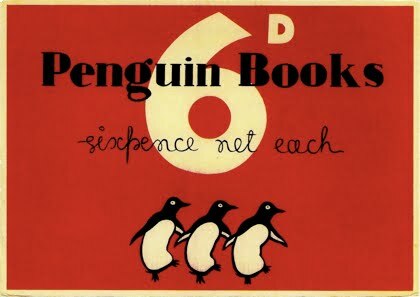 Penguin is celebrating seventy-five years of publishing. My daughter Rachel (whose only relation to Penguin is as a reader) sent us this nifty postcard, one of several marking the occasion. Thanks, Rachel! 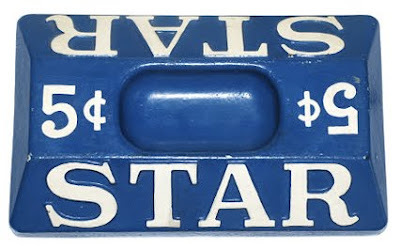 “Though they were once as omnipresent as phone booths, the heyday of the cast-iron weights has come and gone”: a New York Times slideshow of newsstand paperweights. Perhaps publishers ought to begin selling ‘great books’ with the pages blank. This would remind us that when we reach for an interesting title, we’re not always after great thoughts, but rather, the great challenge of thinking and creating. If you find yourself caught in a cycle of checking out books and returning them a few days later in defeat, ask yourself whether you’re looking to read, or if you’re actually looking to create something new. Re: the semi-mysterious J.D. Salinger Boxed Set: I called Little, Brown’s Customer Service number yesterday morning to ask the simplest question: how many volumes? The person on the other end looked up the boxed set and found no answer (and sounded puzzled about that). She took my number and promised to get back to me. No one has returned my call. So the mystery deepens, perhaps. He worshiped the ground she walked on. Went out for chow mein and came back with little red embroidered slippers. Chinese apples. Bouquets of flowers. In January. Why not? her mother said. You always looked like you stepped out of a bandbox. Where did their kind ever see a girl with your looks and breeding? What happened? Red silk slippers. Bouquets and boxes of chocolate. Coming out of the hold of that ship like he just stepped out of a bandbox. 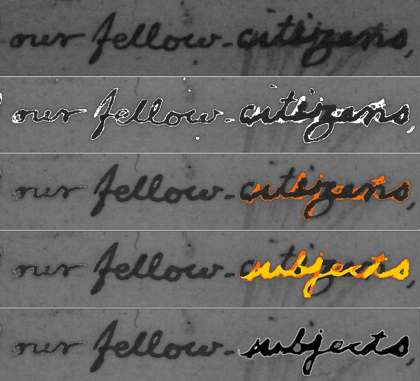 What words have these sorts of literary associations for you? There’s an explanation: young Ronald has been sharing that umbrella with his mother (played by Florence Turner, formerly the Vitagraph Girl of early silents). College has many delights, including a spectacular scene of soda-jerkery. The film’s ending is extraordinarily funny and extraordinarily grim, tracking two lifetimes in just ten seconds. Life’s short. 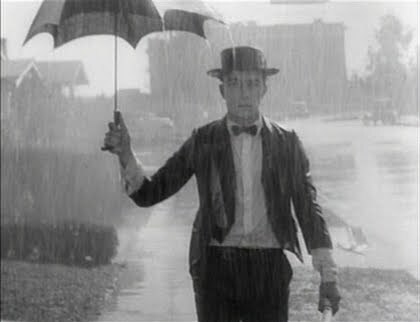 Eighty-three years later, it’s still raining. This news that an uncollected 1945 Salinger story is about to be reprinted makes me wonder about the contents of the hardcover J.D. Salinger Boxed Set forthcoming from Little, Brown in November 2010. Borders lists it as retailing for $99. Chapters Indigo lists it with must be the dimensions of an individual volume: 7.24 x 9.41 x 0.98 inches. As you might have guessed, there are no photographs of this set. If the boxed set includes only the four previously published books, it’d be nice to see, say, a Library of America volume with the uncollected stories. I’m optimistic, always. And yes, the uncollected stories can already be had as bootlegs. But a book is better, no? Update, November 2, 2010: The semi-mysterious boxed set is no longer semi-mysterious. The Borders and Chapters Indigo pages now list the set’s contents — the four books, nothing more. This evocative tale of a young solider struggling to maintain his sanity during the madness of war is just one of the many Salinger short stories tucked away in our archives. We think readers will find this one is as fresh and meaningful now as when it was first published. 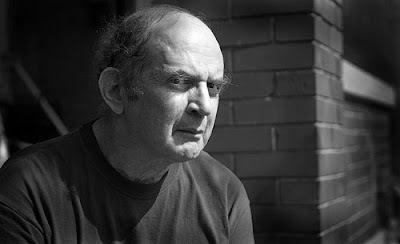 Harvey Pekar was — is — one of the great chroniclers of dailiness in these United States. I felt like cryin’; life seemed so sweet an’ so sad an’ so hard t’let go of in the end. But this is Monday. I went t’work, hustled some records, came home an’ wrote this. T’night I’ll finish A Connecticut Yankee in King Arthur’s Court. Life goes on. Every day is a new deal. Keep workin’ an’ maybe sump’n’ll turn up. 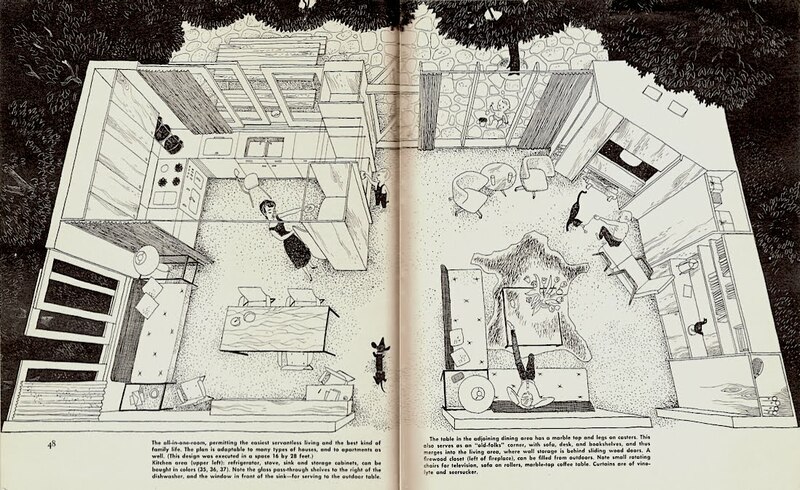 From the story “Alice Quinn,” words by Harvey Pekar, art by Sue Cavey (1982). He’s ninety-four and still playing. The philosophers have certainly persuaded us that time is a process of reckoning that corresponds to no reality. We know that, but the ancient superstition is so strong that we cannot escape it, and it seems to us that on a given date we are inevitably older, like the government, which finds that because it should be warm the 1st of April, after that central heating is no longer needed. For a long time we have found this ridiculous of the government, but for age we don’t find it so. Marcel Proust, in a letter to Geneviève Bizet Straus, October or November 1912. From Letters of Marcel Proust, translated by Mina Curtiss (New York: Helen Marx Books / Books & Co., 2006). Thanks, Mari, for reminding me of the date. Rose: I want to talk about David Lynch, who after I read your piece in Esquire — was it Esquire? — no, Premiere, Premiere — I interviewed David Lynch. You never got to interview David Lynch. Wallace: You’re seriously asking me for my view on English Patient? Rose: How about Shine? I’m going to go down [a list of] three, David. Wallace: This is — a lot of this is going to get cut out, right? Rose: Perhaps. But I’ll make the decision as to what’s cut out. Rose: Quit worrying about how you’re gonna look and just be. Wallace: I’ve got news for you: coming on a television show stimulates your what-am-I-gonna-look-like gland like no other experience. I’ve never been a fan of Charlie Rose, who often seems more interested in laying claim to authority and expertise than in listening to what his interviewee has to say. (Is it an interview, or is it a competition?) If you watch this interview, you’ll see that the David Lynch bit interrupts Wallace’s patient taking-apart of Rose’s out-of-nowhere assertion that respect is very important to Wallace. Note too Wallace’s comment about his knowledge of “elementary arithmetic” (he knows that many people praising Infinite Jest could not have had time enough to read it) and his observations about belligerent questions coming out of nowhere after readings. Me, I finished reading Infinite Jest last night. That’s all I can say right now. Here’s a brief but heartfelt recommendation: go see Toy Story 3 (dir. Lee Unkrich, 2010). And if you or your children grew up with the first two Toy Story films and you think you’re too old: go see Toy Story 3. Our daughter Rachel and son Ben urged Elaine and me to see 3. We are glad that we did. The film enters deeply emotional, even philosophical territory: objects and their associations, remembrance of things past, and identity. We are ourselves, this film seems to say, only in relation to others. Most unexpectedly moving moment: holding hands. Meant, I think, to evoke a matter of recent history. Agar-agar! The substance so nice, they named it twice. (Like New York, New York.) I long knew agar only as a word in crossword puzzles. I noticed the thing itself (derived from red algae) in a market this past weekend. Wikipedia says that agar-agar can be used “as a laxative, a vegetarian gelatin substitute, a thickener for soups, in jellies, ice cream and other desserts, as a clarifying agent in brewing, and for paper sizing fabrics.” I have verified none these uses: I take agar-agar’s versatility on faith. I do know from experience that agar-agar can be used in blog posts, at least when it’s packaged in such a striking way. On the back of the package, a glossy woman speaks. Listen: do you hear what she is saying? 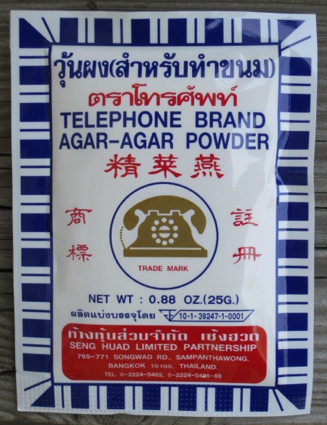 Yes, she is telling a friend about Telephone Brand Agar-Agar Powder. From the New York Times, the story of a tombstone found on a Lower East Side sidewalk. According to time-use surveys analyzed by professors Philip Babcock, at the University of California Santa Barbara, and Mindy Marks, at the University of California Riverside, the average student at a four-year college in 1961 studied about 24 hours a week. Today’s average student hits the books for just 14 hours. ¹ Jeez, I spent way too much time studying in college. What kind of paper do you use, what kind of pen and ink? Well, I use the old Strathmore vellum surface paper, which is the best paper you can get in the Western world for ink line drawing. It has a good, hard surface. I have it mailed from the New York Central Art Supply in New York. For a while I was using this old Strathmore paper from fifty years ago that some guy sent me, it had bad comic art on one side, hacked-out comic work from 1959, 1960, but the paper is superior to anything you can get now. It just holds the ink better. I ran out of that and now I use this new stuff that’s not quite as good. And how about the ink? I use Pelikan black drawing ink, and the crow-quill pen nibs. And you stick them in a handle. They’re all getting harder to find, all these antique art instruments. The companies that have made them are dying off one by one. But I got lucky. One day about six or seven years ago, my daughter, Sophie, bought a box of old pen points at a flea market in France. She found a box of about a hundred drawing pen points, and they’re the best ones I’ve ever used. They last and last, everything about them is fine, the point, the tensile quality, even the metal, the glass. The metal was just better, back then. I’ve still got maybe fifty of those. I think they’ll probably last me the rest of my life. I lived out my youth on paper, basically. I am a bookmaker. I see blank books, I want to fill them — notebooks, sketchbooks, blank pages. From “The Art of Comics,” an interview with Ted Widmer, in the Summer 2010 Paris Review. The night-noises of the metro night: harbor-wind skirling on angled cement, the shush and sheen of overpass traffic, TPs’ laughter in interior rooms, the yowl of unresolved cat-life. Horns blatting off in the harbor. Receding sirens. Confused inland gulls’ cries. Broken glass from far away. Car horns in gridlock, arguments in languages, more broken glass, running shoes, a woman’s either laugh or scream from who can tell how far, coming off the grid. Dogs defending whatever dog-yards they pass by, the sounds of chains and risen hackles. The podiatric click and thud, the visible breath, gravel’s crunch, creak of Green’s leather, the snick of a million urban lighters, the gauzy far-off humming ATHSCMEs pointing out true plumb north, the clunk and tinkle of stuff going into dumpsters and rustle of stuff in dumpsters settling and skirl of wind on the sharp edges of dumpsters and unmistakable clanks and tinkles of dumpster-divers and can-miners going after dumpsters’ cans and bottles, the district Redemption Center down in Brighton and actually even boldly sharing a storefront with Liquor World liquor store, so the can-miners can do like one-stop redeeming and shopping. TPs: teleputers, which have replaced broadcast television. “Green’s leather”: Bruce Green, out on a walk with Randy Lenz, wears a leather jacket. ATHSCMEs: “Air-Displacement Effectuators,” giant fans that blow pollution north to Canada. Brighton: one half of Allston-Brighton, the Boston neighborhoods that serve as the setting for much of Infinite Jest. Infinite Jest is filled with acronyms, but with under 200 pages of the novel to go, I’ve yet to see an explanation of ATHSCME. I suspect (and suspect that I will continue to suspect) that the name is a joke on the Acme Corporation of cartoondom and on the words “Ask me.” What does ATHSCME stand for? Athsc me. I think of ATHSCME as a distant relation of an acronym from John Steinbeck’s The Grapes of Wrath: IITYWYBAD? I remember a similar acronym from Allston-Brighton — YOADTMD, more or less, which hung above the bar of the El Phoenix Room in Brighton. Infinite Jest names several now-defunct Allston-Brighton landmarks: Bunratty’s (a bar, aka Scumratty’s), Ellis the Rim Man (an auto-parts store), Marty’s Liquors (previously Macy’s Liquors, located at the center of the universe, the intersection of Commonwealth Avenue and Harvard Avenue), Play It Again Sam’s (a bar), Purity Supreme (a supermarket). No mention though of the El Phoenix, still unrisen. No gum is allowed during an exam: chewing could disguise a student’s speaking into a hands-free cellphone to an accomplice outside. The 228 computers that students use are recessed into desk tops so that anyone trying to photograph the screen — using, say, a pen with a hidden camera, in order to help a friend who will take the test later — is easy to spot. Scratch paper is allowed — but it is stamped with the date and must be turned in later. When a proctor sees something suspicious, he records the student’s real-time work at the computer and directs an overhead camera to zoom in, and both sets of images are burned onto a CD for evidence. At Abercrombie & Fitch. At Hollister. At the movies. One-hundred American voices for this Fourth of July. The Political Times column on Wednesday, about the role of ethnic identity in politics, misstated the subject of an ethnic joke that the biographer Lou Cannon said Ronald Reagan frequently regaled crowds with while campaigning. The joke, which most likely would destroy a promising candidacy today, centered on a monkey and an organ grinder — not Polish and Italian participants at a cockfight. This dowdy mug (distressed by design) is a gift from my son. 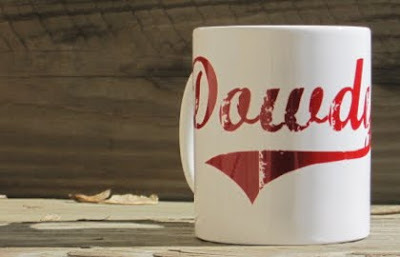 For use in and out of “the dowdy world.” Thanks, Ben! From This American Life, a New Hampshire story: “House on Loon Lake.” It is as described, “a real-life Hardy Boys mystery.” Listen online, or download for 99¢. 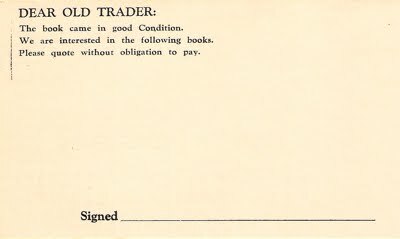 Elaine Fine found this postcard in a library book. Paul Drake is busy on a case with Perry Mason, so Elaine asked me to investigate. 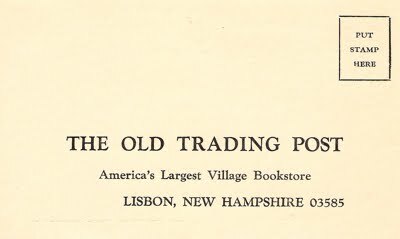 In 1967, the American Book Trade Directory (New York: R.R. Bowker), lists Janet Rothenburger as the sole proprietor. The Social Security Death Index lists a Paul Rothenburger, 1900–1967, with Lisbon, New Hampshire as his last residence. 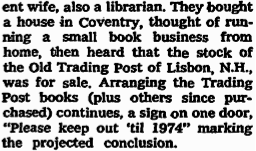 The last reference to an active store that I’ve found is from 1968, a listing in Book Dealers in North America (London: Sheppard Press, 1968). No SSDI record for Janet Rothenburger. No sign of the Coventry Bookstore anywhere. That’s a case for Paul Drake.